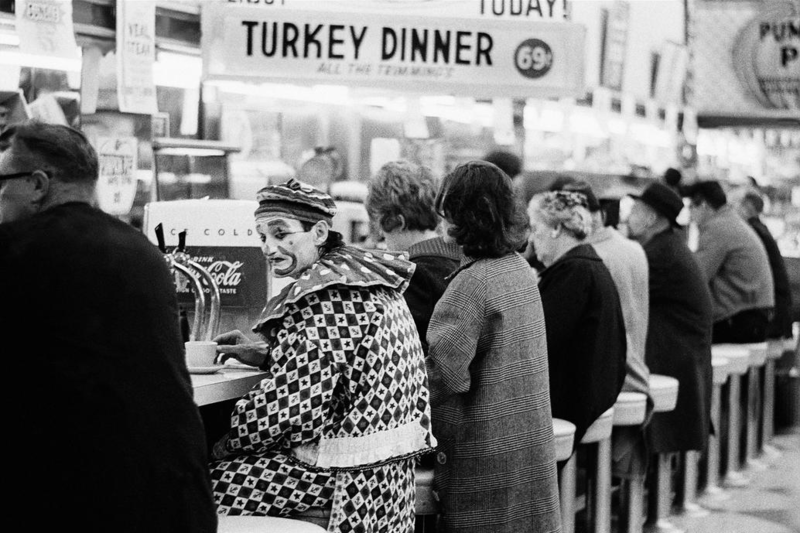 There is no doubt that many find clowns creepy. 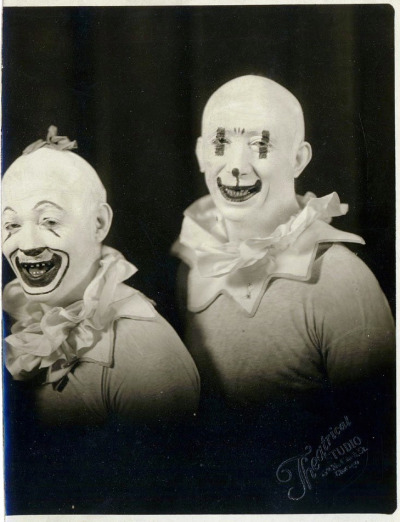 People who don’t suffer from Coulrophobia [The Fear of Clowns] even find clowns to be disturbing. 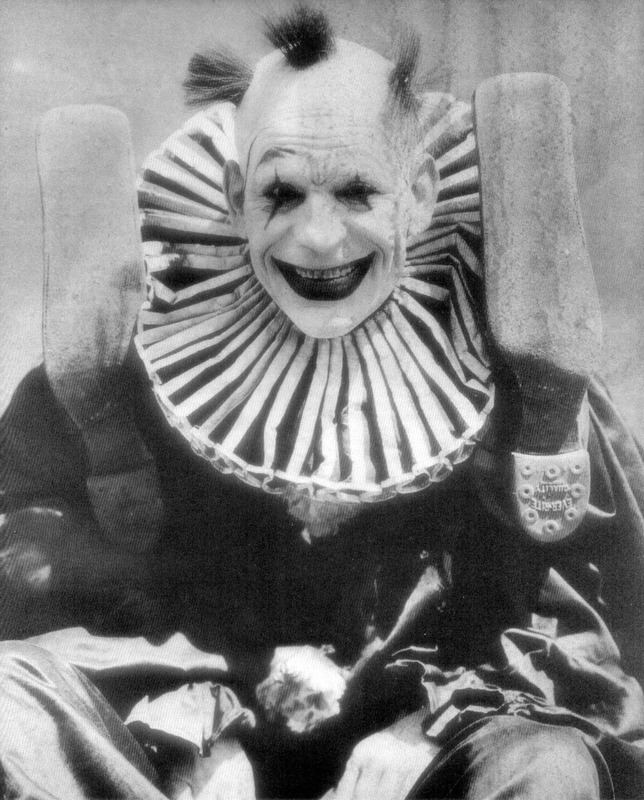 It is becoming more and more obvious that clowns have had a dark side. 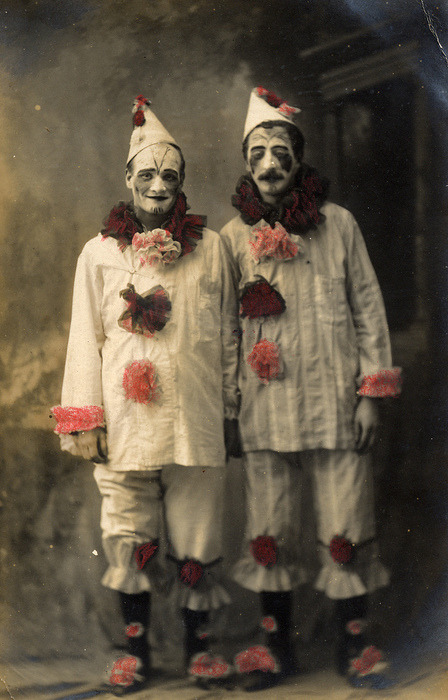 These pictures of clowns will certainly give you goose bumps. 2.) 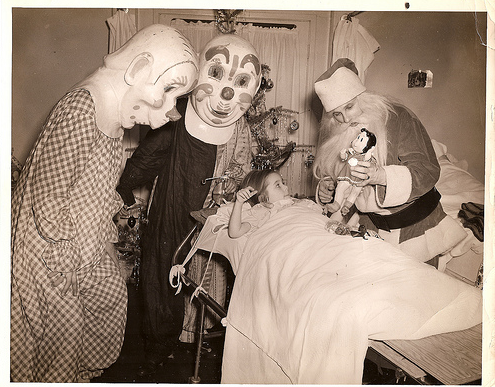 A sick person being visited by clowns! 3.) Maybe, he is friendly. 4.) They wouldn’t kill you. 5.) Why aren’t people freaking out?